The Doctors and staff at Balmoral Surgery aim to provide the highest standard of care to all our patients. We run many clinics for the management of Chronic Diseases such as Asthma, COPD, Heart Disease and Diabetes. We also offer a wide variety of other services such as Childhood Immunisations, Antenatal and Postnatal Care. We are a South Belfast Practice. Monday 22nd and Tuesday 23rd April 2019 for the Bank Holiday - if you require urgent advice please ring the Out of Hours Centre on - 028 9079 6220. Selfcare Information. Please click the icon for leaflets and more information. The Surgery has been designed to accommodate the disabled. 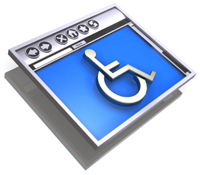 The entrance, consultation rooms and toilet are suitable for access of wheelchairs. There is parking on the Surgery forecourt. We are a registered Yellow Fever Centre and this service is available to everyone. You do not need to be registered at our practice to use this service. Please contact the surgery if you want to make an appointment. Please note: a private fee will apply.